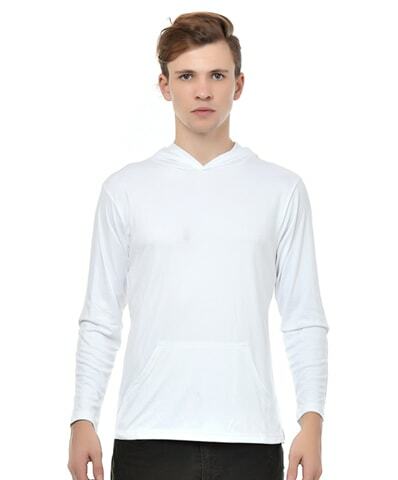 Straight from the America, the fashion of hooded t-shirts is now trending all over the world. A hoodie is a sweatshirt attached with a hood. Depicting a high fashion culture, hoodies make a perfect attire to get that hip-hop culture look. 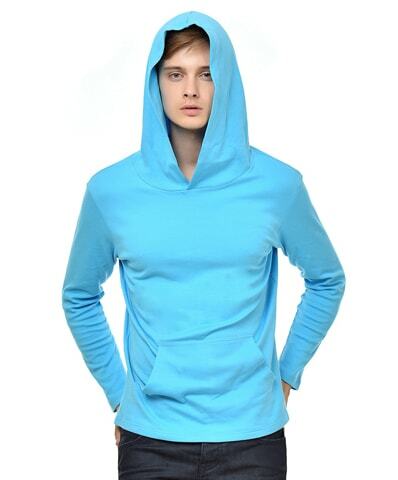 A fleece hooded t-shirt is so universal that could be carried by any man and still would look great. Hip-hop culture flourished in New York which gave rise to high fashion that embraced and glamorised the new clothing. It is a great collection which are best suited for daily wear, gym or even dance sessions. Plain t shirts online India and custom t shirts online along with lots of different designs. This range of t-shirts are fashionable, trendy and ultra-modern. They are very light, comfortable to wear and durable. They are of excellent quality and reasonably priced. Combine the t-shirts with a pair of jeans or lowers to complete your look. Pull-up linen trousers and leather flip-flops with this comfortable t-shirt as you head out for a wild outing or just a brunch. Colours are trendy and so fashionable that make them perfect for daily wear. They are so comfortable and easy going that you would reach for it in your closet, everyday you step out which is easy to carry and drastically changes your look to that trendy yet stylish hip-hop look. How to get them? Don’t worry. These hooded t-shirts could be yours forever so just log on to Neevov.com and choose your favourite one from that wide variety of cool ones. With various colours like white, black, orange, maroon, brown and navy blue etc. and available in all sizes ranging from Small, Medium, Large and XL, you would surely get your perfect match. And the best part is they are so easily washable so that you need not run to the laundry to get it dry-cleaned every other day, just wash it in machine in cold water and that’s it , you are good to go. Made with high quality fabric 60% cotton and 40% polyester it is very comfortable, soft, smooth and good looking regular and comfort fit t-shirt for casual wear. 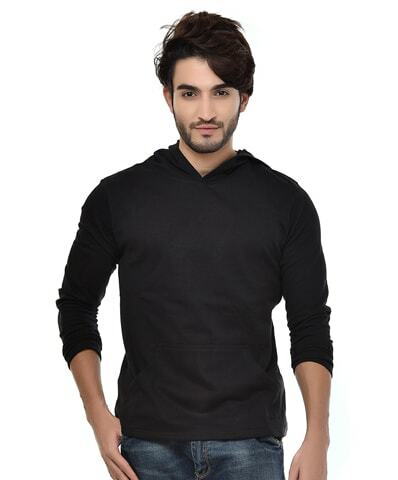 These trendy hoodies are a must have in every wardrobe and if you don’t have one then don’t wait to have one. Feel like a trend setter as you adorn this regular fit t-shirt. Giving you a brand new hip-hop look theses hoodies are an eye catcher.